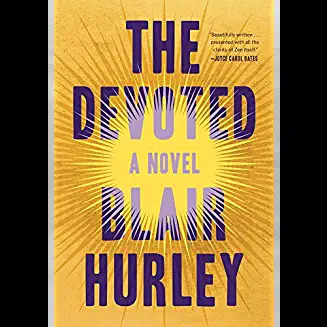 Blair Hurley joins us to speak about her new Buddhist fiction book, The Devoted. I know that many of you listening are avid readers, and have sometimes asked about Buddhist fiction. We’ve not had a lot of those interviews on the podcast because it’s not a particularly large portion of fiction writing, but today we do have a conversation about a new book you may be interested in. Blair Hurley received her A.B. from Princeton University and her M.F.A. from NYU. 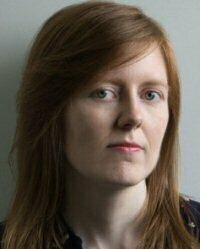 Her stories are published or forthcoming in Ninth Letter, West Branch, Mid-American Review, Washington Square, Hayden’s Ferry Review, and elsewhere. She received a 2018 Pushcart Prize and scholarships from Bread Loaf and the Kimmel Harding Nelson Center for the Arts. So, sit back, relax, and have a nice Literary Lemongrass tea. The music heard in the middle of this podcast is from Rodrigo Rodriguez. You can visit his website to hear more of his music, get the full discography, and view his upcoming tour dates.